With bows tied to perfection (and not just Yinbo’s), delegates in their best dressed settled down for an evening to recognise and celebrate the commitment students’ unions have made to create positive change. Following on from two days of thought provoking sessions, NUS Awards is the light-hearted part(y) of the SUs 2018 double-act. As a sector consistently and openly criticised, this night is a chance to look around, to see the collectivism discussed at SUs 2018. Look around Birmingham NEC and you’ll see a student movement that is energised… and not just on the dance floor either. "I’ve got it, I’ve got it! The key to my campaign, I know what I need to do!" It’s 10.30pm and NUS-USI President, Olivia Potter-Hughes is talking about the decriminalisation of abortion in Northern Ireland. She’s not the only one who’s still talking work after hours, as you walk through the venue you’ll overhear delegates introducing themselves followed by variations of ‘what would your advice be for the campaign?’. The commitment to making a difference to students’ is unwavering. This is what NUS awards night is about. Following a brief sing song led by your National President, for all the delegates celebrating their birthday it was into our first category, Green Impact Awards. This is our flagship sustainability accreditation scheme for SUs working towards a more just and sustainable future. 2017/18 years marks the 11th year of the national programme, with 70 unions participating and 2,204 actions taken. We believe in a just and sustainable future and this work is key to that. 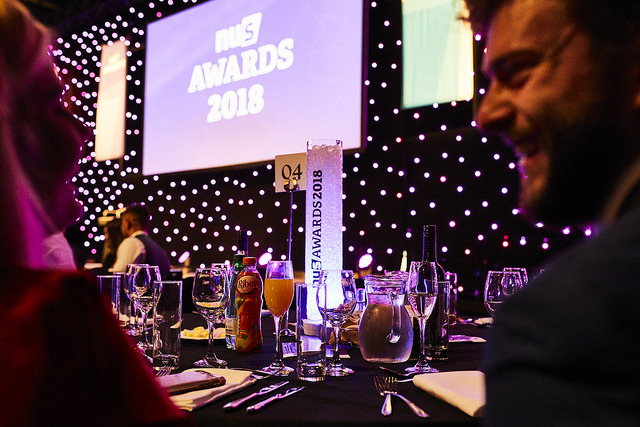 A huge shout out to The University of Northampton Students’ Union for most improved union, Wrexham Glyndwr Students’ Union for highest scoring nation and The Students’ Union at UWE our highest scoring winner. In a space of sharing best practice, the role of QSU (Quality Students’ Unions) is key. 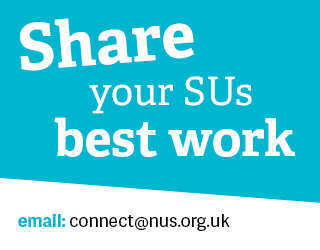 NUS developed the accreditation to assure the quality, standards and overall effectiveness of students’ unions. The accredited students’ unions have demonstrated an ongoing commitment to excellence in their students’ unions through their activities, outcomes, and Governance, leadership and management. The latest QSU accredited cohort; Liverpool Hope Students’ Union, Leeds Beckett Students' Union, University of Central Lancashire Students’ Union, University of Huddersfield Students’ Union, University of Bristol Students’ Union and University of Sussex Students’ Union, were warmly welcomed to the stage. Shakira echoed the thoughts of SUs 2018 “our movement is at its strongest when we work together with others” she stated, before introducing to the stage the recipients of the relationships and partnerships award; City of Glasgow College Students' Association, Leeds Beckett Students' Union, SDC: Student Union and University of Salford Students' Union. These students’ unions all embody what it meant to be outward facing students’ unions who show the best of our qualities to the wider world. Engaging with the wider world allows us to create an inclusive movement. One that understand equality and diversity. 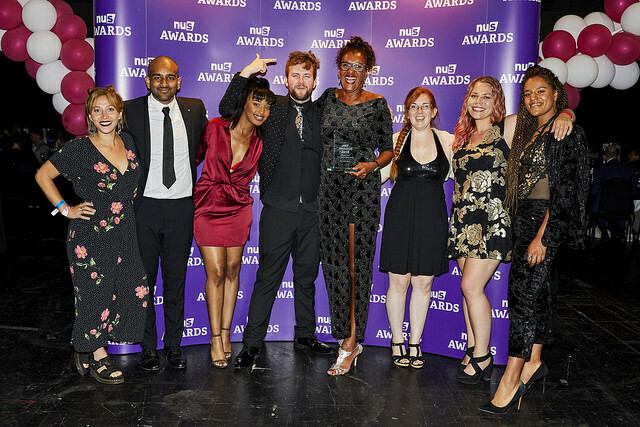 Aberystwyth University Students' Union, Bath Spa University Students' Union, City of Glasgow College Students’ Association and Nacro Students’ Union were the recipients of The People Award which recognised their work to attract and retain outstanding people from diverse backgrounds. Students’ and their wider community must be able to fully participate in education. Ayrshire College, Lambeth College Students' Union, University of West London Students' Union and Wrexham Glyndwr Students’ Union were the recipients of the Participation Award working to develop our proud history of making our SUs spaces where everybody can take part. Of course, key to growing engagement with the students’ already on our campus’ is participation in democracy across local SUs, which drives our national movement. The Democracy Award recognised the innovative work of our recipients; Aberystwyth University Students' Union, Bournemouth and Poole College of FE Students' Union, Derwen College Student Union and University of Strathclyde Students’ Union. “From our very inception we have fought for a better future for our students’ Shakira continued, ‘all of this has been done by, with, and for students.” The recipients of the Representation and Campaigning Award; Ayrshire College, Forth Valley College Students' Association, Middlesex University Students' Union and The SU University of Bath all demonstrated a commitment to involving students in their work. When looking at both officer team and union of the year, the sentiment continued. The awards went to those who adopted a students’ first approach. The recipients of the SU Officer Team of the Year were: City of Glasgow College Students' Association, Edinburgh College Students' Association, Queen's University Belfast Students' Union and University of Westminster Students' Union. 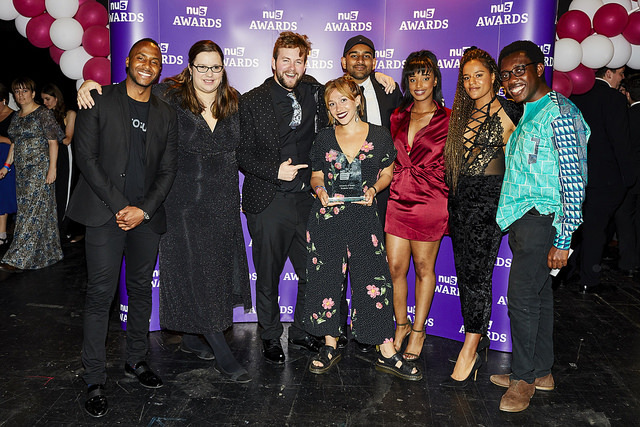 The recipients of the Union of the Year Award were; University of Birmingham Guild of Students, University of West London Students' Union, Leeds City College Students' Union and Forth Valley College Students' Association. It was to cheers loud enough to even challenge those of Salford SU, that Samantha Budd, CEO of Bristol SU, took to the stage to receive The Simpson King Staff Achievement Award. The award, named after our former colleagues Ian King and Jon Simpson, recognises our colleagues who have dedicated their careers to making an incredible difference to students and students’ unions. ‘Over the past 8 years, this movement has shaped me’ self-defined as ‘not from the movement’ Sam’s impact goes further than her work leading Bristol Students’ Union. NUS CEO, Simon Blake, thanked Sam for her support of NUS in our Race Matters Agenda, Poverty Commission, and NUS Charitable Services. “The reason we are all here today is to celebrate the success of one another. 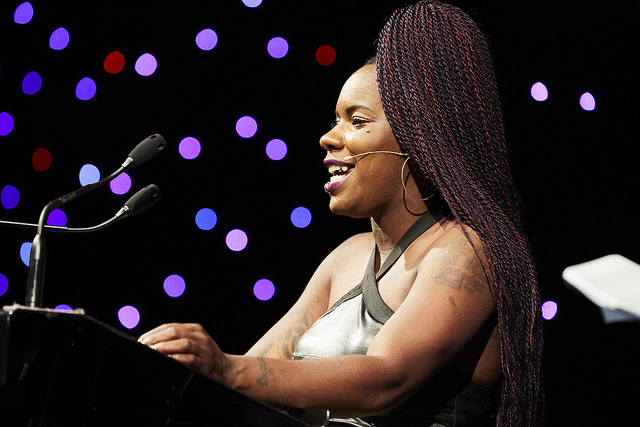 This is a testament to the pride we share in each other’s achievements.” – Shakira Martin, NUS National President. Over the coming weeks we will be following up from SUs 2018 with in depth looks at the work of our membership.